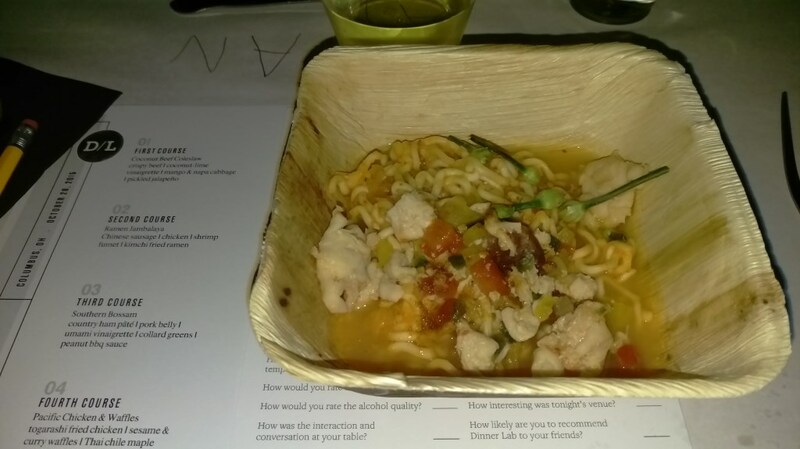 Have you heard about DinnerLab yet? If not you need to check it out. 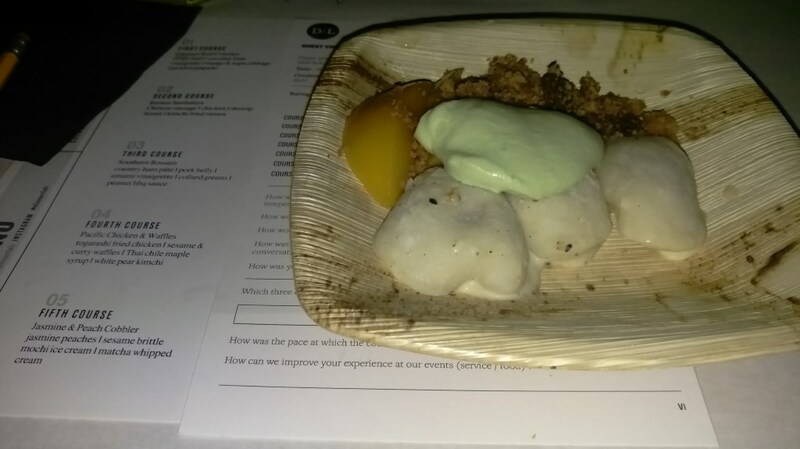 DinnerLab is a supper club that recruits exciting up and coming chefs to create special themed meals for members. They host the dinners in different locations every time. It’s always such a thrill to get that email the day before the event in which they tell you where you will go to have dinner. I know I get anxious waiting for that message to arrive. 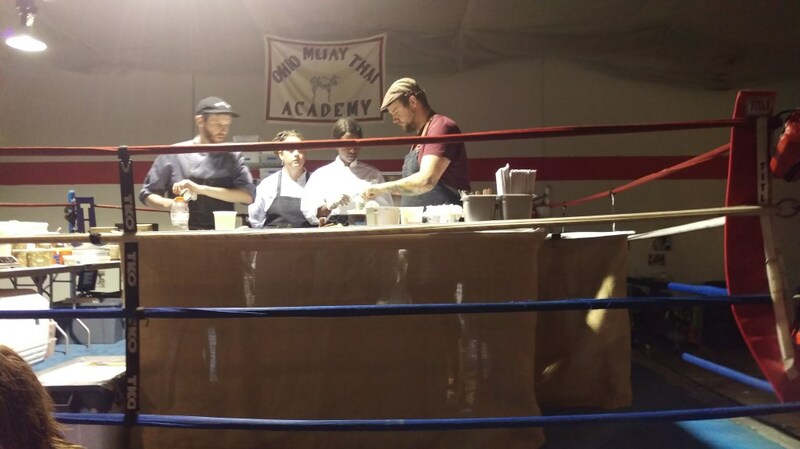 For this dinner we were told to go to The Ohio Muay Thai Academy. It was a gym out on the west side of town in an industrial park. We were lucky to have hometown Chef Kevin Jones of Columbus, Ohio. He is currently chef at The Refectory, my favorite upscale french restaurant. 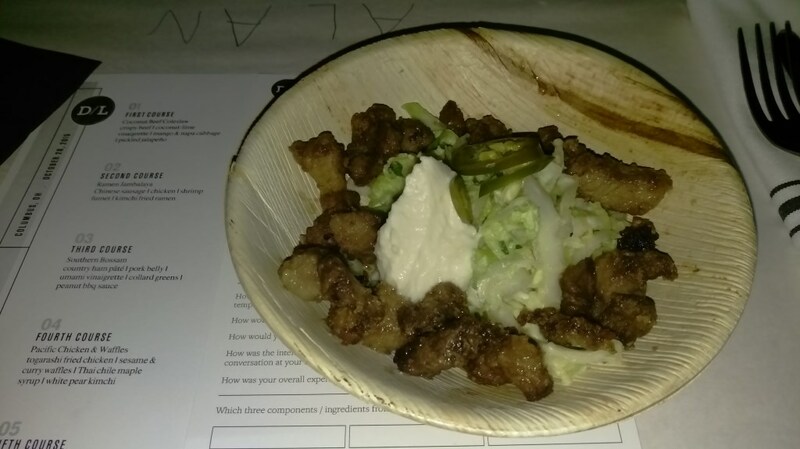 The theme for the dinner was “South of Far East: Southern Comfort Meets The Pacific Rim”. 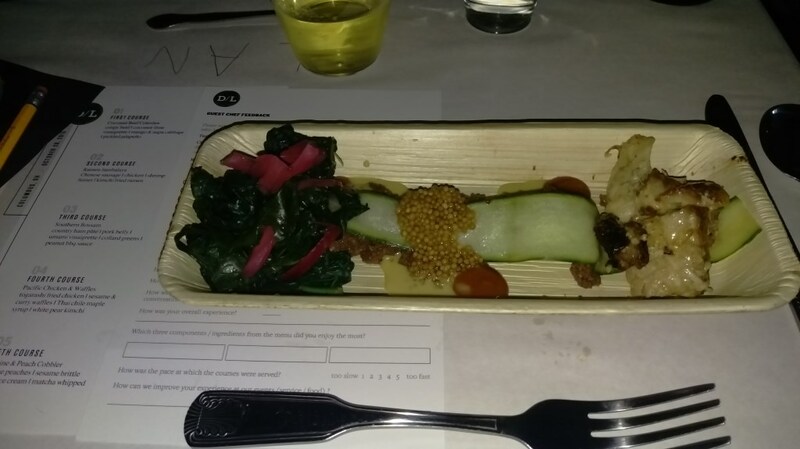 The menu was designed to highlight similarities and complimentary nature of the American South and southeast Pacific Rim. The beef was nice and crispy and melded very well with the other ingredients. The ramen was well done and the combo of shrimp, sausage and chicken was great. However, I’m not a fan of kimchi so I did find it hard to work though the flavors. Another fine pork course! delicous pork belly with mustard seed and the ham pate was different but otherwise a nice flavor. What’s there to say, chicken and waffles are always good. 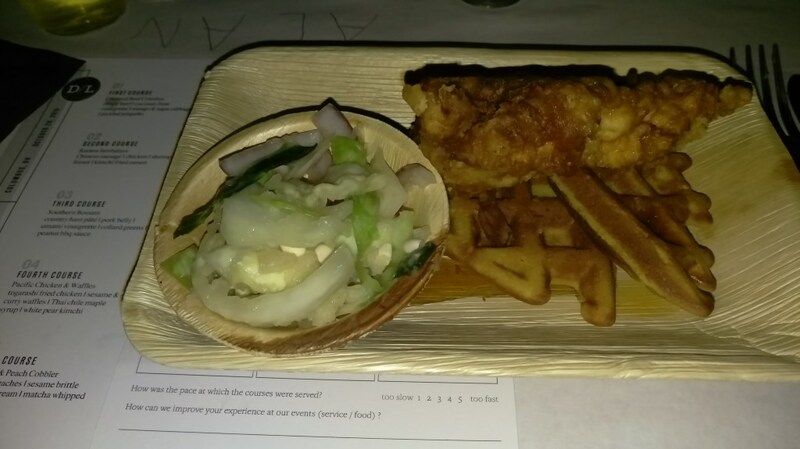 The chicken had a great crisp coating and the waffle was nice and crispy but the curry did make for an interesting flavor change from the usual sweetness you would expect. This was so very good. The mochi ice cream and jasmine tea peaches were sublime. This was an interesting mash up of cultures and cuisines. On initial though you would not expect the American South and South Asia would meld but they did work to compliment each other nicely. For more information and to sign up check out DinnerLab.com!